Engineering Plastic Parts are the plastic parts manufactured from special grade plastic that offer strength, heat resistance, corrosive resistance, non-flammable, and highly lubricated. Therefore, these plastic parts often used to substitute metal parts in many product categories that require high durability. 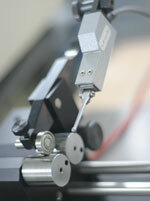 The Company expects that the trend for using plastic counterpart as a substitute for metal parts is growing. The Company manufactures and assembles engineering plastic parts and sold to customers who are manufacturers of electrical appliances, electronics equipment and car audio equipment, locating in both Thailand and overseas. After receiving purchase order from the customers, the Company will purchase plastic resin according to the customers’ quality requirement and recommended sources. Once receive raw material, the Company will inject the plastic into the mold and shape parts according to the customers’ requirement before packing for delivery. The Company also offers part assembly service to assemble some parts prior to delivery. Moreover, the Company also provides design service to produce semi-finished parts for the customers to further process them into finished goods, thus help them reduce their costs and improve their production efficiency. The Company focuses on product quality by inspecting and controlling product quality during production process and final inspection prior to delivery to ensure that the product has high quality and conforms to customer’s requirement. With efficient production process, up-to-date production facility, skilled worker and stringent quality control system, the Company’s products are well received from the customers. In December 2002, the Company’s production process is certified ISO9001:2000 international standard, which is the standard that ensures the production process improvement and organization management are of the international-accepted standard. In January 2004, the Company is certified ISO14001 standard which is the standard that focuses on environmental management, control of pollution that may arise from production process to be at acceptable level, energy conservation and resource consumption during the production process. Plastic parts for fax machine include the semi-finished drive unit, fax cover frame, fax base, multi-function office equipment, wireless handset body which is part of the fax machine. Plastic parts for printing and photocopying machines includes photosensitive drum in both color and black-and-white laser printing machine, parts of laser printer, ink jet printer, mobile printer, etc. Plastic parts for car audio equipment includes tape driving parts, tape holding part, CD grip, turn table, etc. Other plastic parts that are used to manufacture household electrical appliance such as refrigerator, air conditioner, and auto parts, etc. 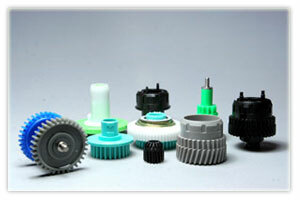 TAPM, the Company’s subsidiary, designs, manufactures, repair and improve mold for plastic injection. The subsidiary was supported in term of mold designing and manufacturing technique from Asaka Kanakata Company Limited (ASAKA) and PNI, who are the experts in designing and manufacturing mold for plastic injection from Japan. TAPM utilized computer aided design (CAD) to help designing mold before sending data to the mold manufacturing facility that is controlled by the computer aided manufacturing (CAM) facility. As a result, TAPM can produce good quality mold according to the requirement. This manufacturing process enhances confidence for TAPM’s mold as well as for the engineering plastic parts, which is the Company’s core product. TAPM’s customers are Canon, Metco, Oki Data, etc. Copyright © Tapaco Public Company Limited 2008 All rights reserved.